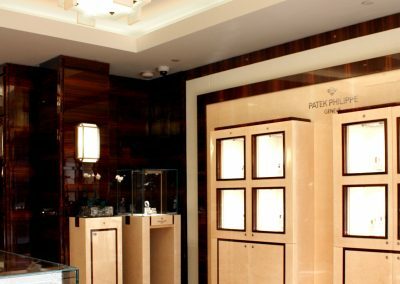 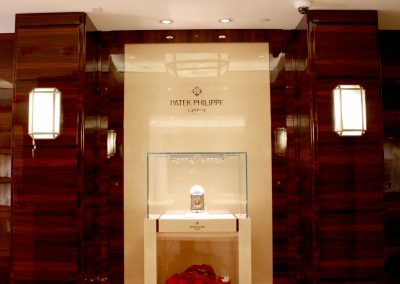 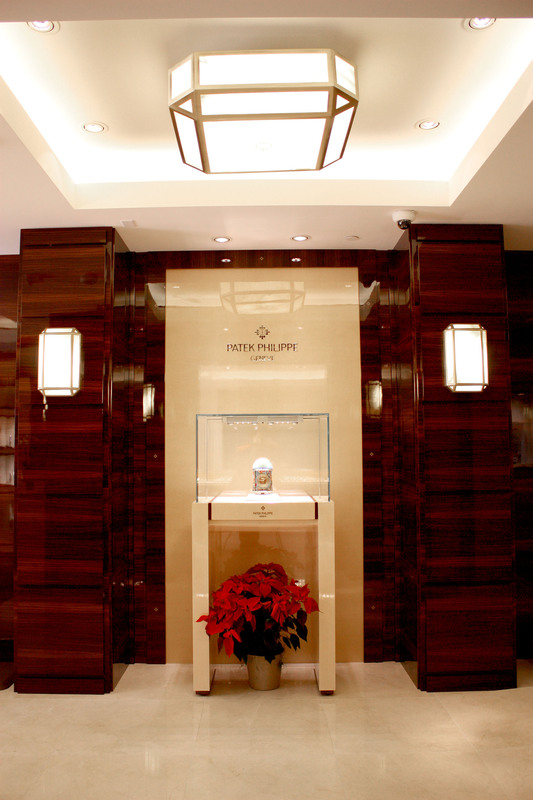 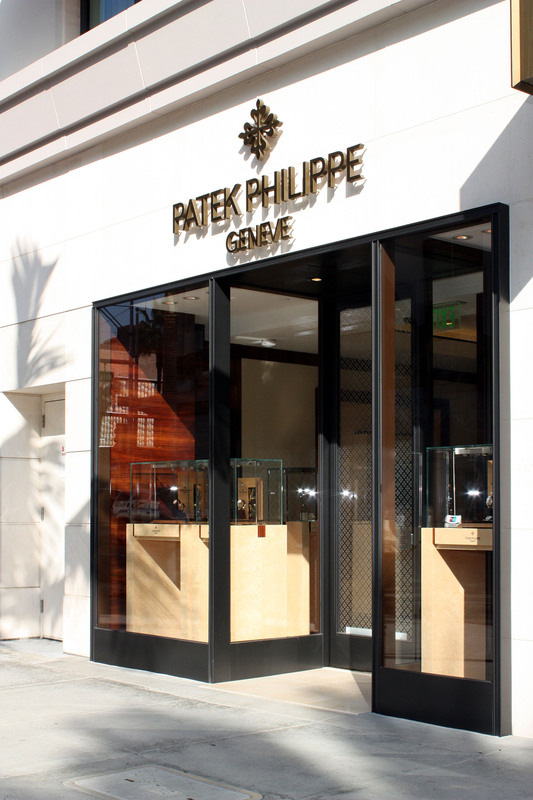 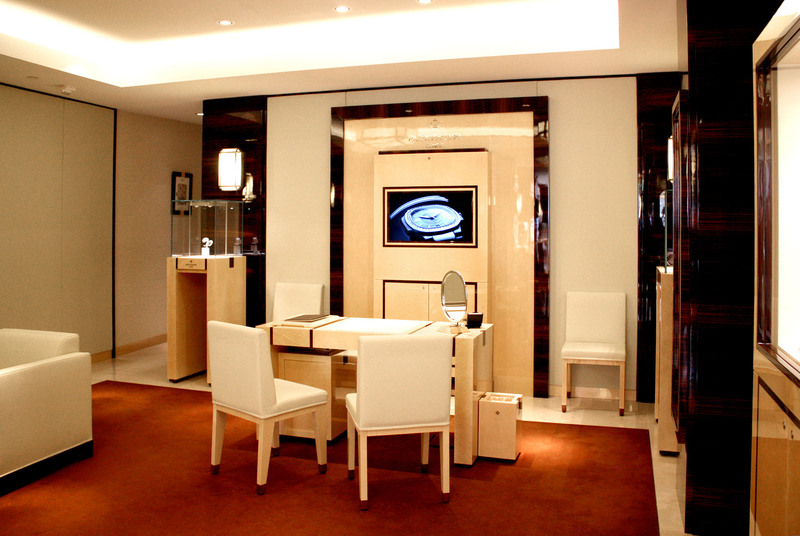 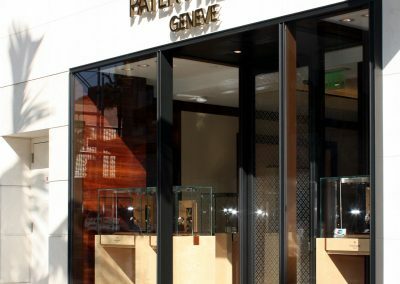 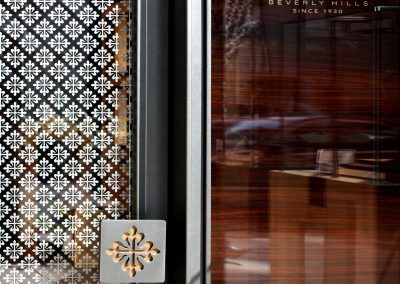 The first touch one encounters upon arriving at Patek Philippe is the custom carved logo door handle. 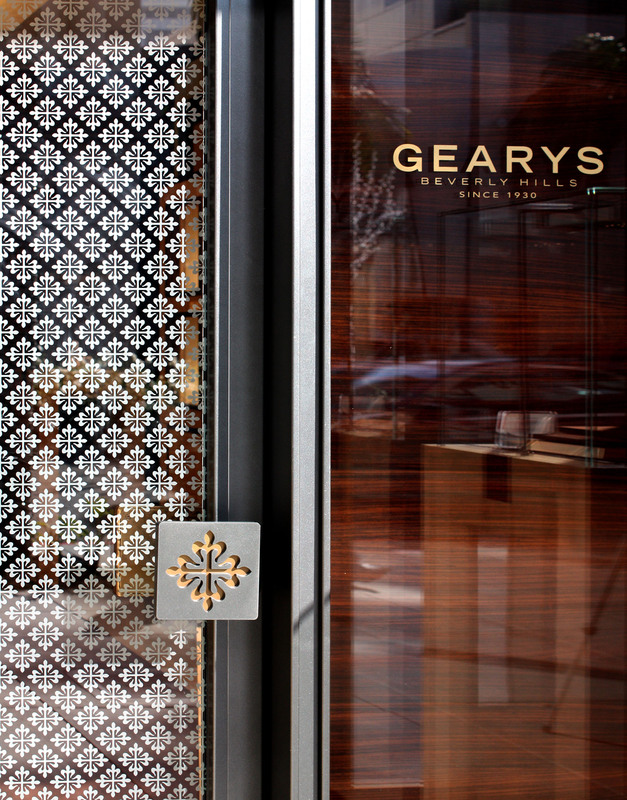 Once inside, Art Deco inspired casework in bird’s eye maple contrasts with adjacent lacquered walnut finishes providing an elegant nostalgic backdrop for the unique Genevan timepieces. 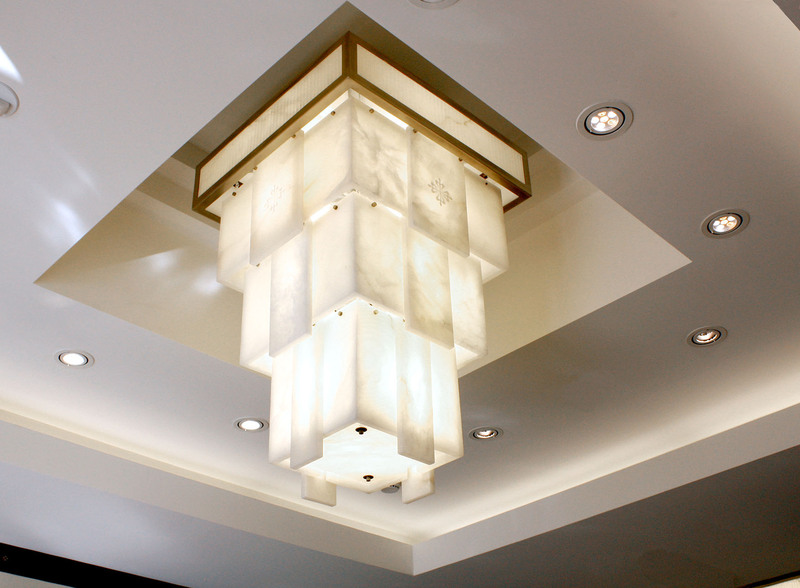 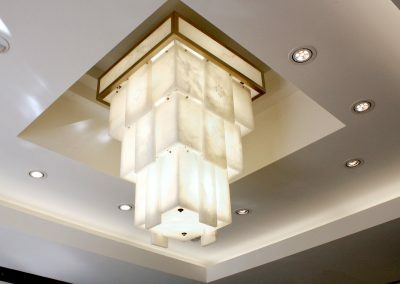 Custom logo engraved chandeliers and sconces radiate warmth through their translucent stone panes. 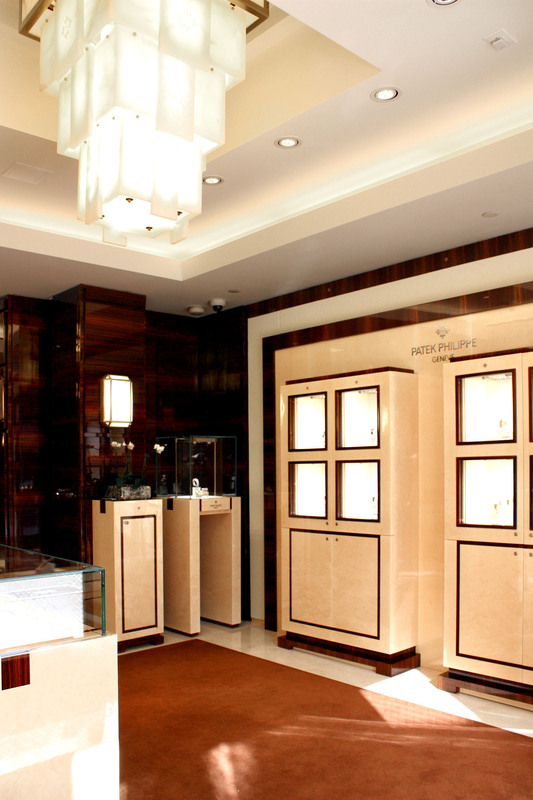 A seating area in rich cream leather beckons the client to relax and enjoy the ambiance of the store. 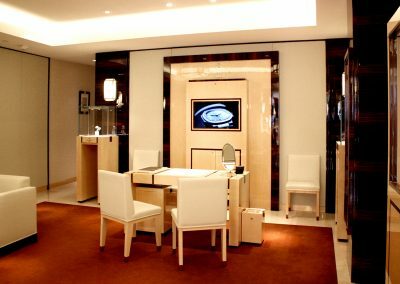 A private salon completes the lush experience.